Israel said its Gaza offensive could be “in the final act” on Friday as both Israel and Hamas discussed cease fire plans and started the way ahead. Fighting slowed in Gaza Friday as both sides seemed to be making ready for the cease fire. Hamas is prepared to accept a conditional cease-fire with Israel in the Gaza-Strip starting on Saturday, the al-Sharq al-Awset daily reported on Friday. Israel rejected portions of the Hamas cease fire plan but said it was moving ahead to stop hostilities while details are worked out. “Hopefully we’re in the final act,” Prime Minister Ehud Olmert‘s spokesman Mark Regev said, adding that briefings by the envoys working in Washington and Cairo on Friday could be followed by swift decisions by the security cabinet. Israeli Foreign Minister Tzipi Livni is in the U.S. at the State department Friday to work out a plan to ensure Hamas does not re-arm during any cease fire or follow-on time frame. Such decisions could come by Saturday, Israeli officials said, allowing the cease fire to start then. Israel has overpowered Hamas. 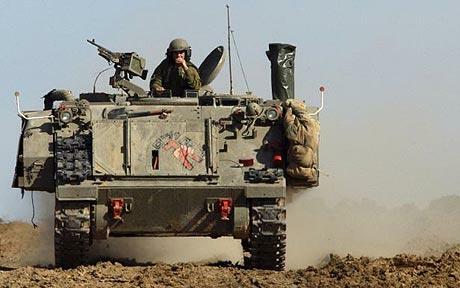 Tanks and trained troops have out musled and out battled the Palestinian fighters who were lobbing a few rockets a day into Israel. Most of those Hamas rockets landed without killing anyone. Yet Israel has inflicted a staggering toll, over 1,000 dead, among the civilian population of Gaza, severely damaged its own Israeli national reputation, and hardened many anti-Israel minds further to pray for the destruction of Isreal. “Are we are winning the fighting, but losing what we wanted?” one Israeli wondered aloud to us. 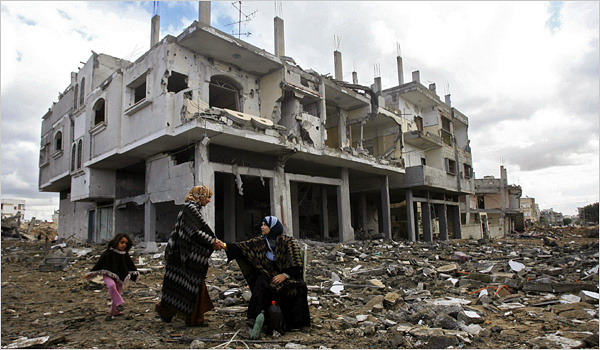 Witnesses to the destruction of Gaza couldn’t say what Hamas has gained, exactly. Day 21, in Gaza; Israel unleashed some 50 airstrikes in what seems like the final act in the battle — but not the war. Yesterday both Israel and Hamas seemd to agree in principle to an Egyptian brokered cease fire. And Israeli Foreign Minister Tzipi Livni departed for the U.S. in an effort to find technical means to assure that Gaza and Hamas are not re-armed in the future. Israel wants from the U.S. an agreement which would intensify intelligence cooperation to block smuggling routes before the weapons make it to tunnels linking the Sinai Peninsula to the Strip, the Jerusalem Post said. Coupled with Egyptian commitments to step up their own efforts along the border together with international assistance, the agreement would be part of a mechanism Israel has demanded as part of a cease-fire. High-level Israeli envoy Amos Gilad discussed that cease-fire plan in Cairo Thursday with Egyptian officials. After he consulted with Israeli leaders on returning to Jerusalem, they ordered him back to Cairo Friday for further talks, Prime Minister Ehud Olmert’s office said. 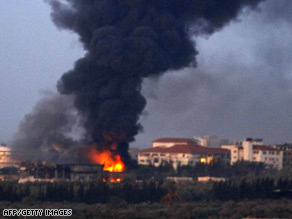 Israel said the discussions could go on “for a day or two” to work out details of the cease fire. But U.N. General Secretary Ban Ki-moon urged both sides to stop fighting immediately. The fighting continued Friday with additional civilian casualties. The Egyptian truce proposal, of which newspaper such as Haaretz have obtained, contains three clauses. First, Israel and the Palestinians will agree to an immediate, time-limited cease-fire, during which the border crossings will be opened for humanitarian aid and Egypt will lead negotiations on a long-term truce. Second, the long-term truce must include provisions on both border security and an end to the blockade of Gaza. Third, Fatah and Hamas should resume reconciliation talks. Egyptian officials told Haaretz they believe the initial, short-term truce should last a few months, to allow plenty of time for negotiations on the long-term cease-fire. However, the proposal does not require Israel to withdraw from Gaza during the initial truce, and Hamas has said it will not accept the proposal unless that omission is corrected. Israeli Foreign Ministe Tzipi Livni meets with U.S. Secretary of State Condoleezza Rice at the U.S. State Department at 11 AM Friday.